Dave and Jeremy, at The Land Institute back in 1994. 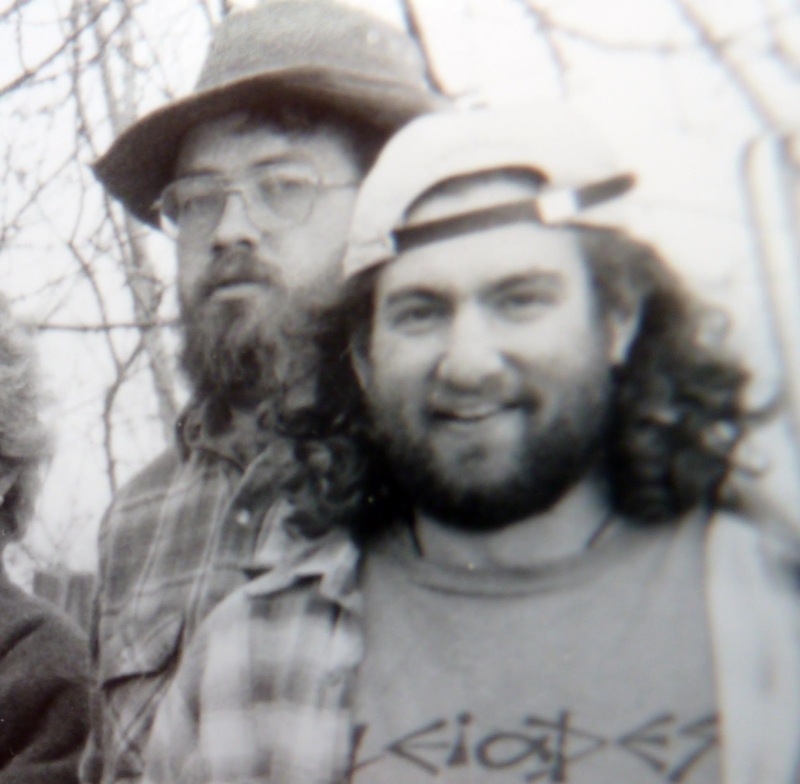 When Dave Tepfer and Jeremy Plotkin met on a frosty February night in Kansas, back in 1994, they had no inkling how intertwined their lives would become. Dave came from a graduate program in agricultural economics at Colorado State; Jeremy came from a liberal arts school in Indiana. Dave grew up on a family farm in rural Minnesota, learning to drive a tractor before age 10; Jeremy grew up in Brookline before his family set out to live a homestead-ish life in rural New York state, where his mom ran over the family car with their tractor. They came together for an internship program at The Land Institute, an agricultural education and research non-profit in Salina, Kansas, because they were both passionate about how agriculture in America could be done in a way that is sustainable for the land and for human culture. For many years, The Land Institute ran a year-long internship program for college graduates that involved readings and discussion, work to keep up the place and research projects to support the mission to develop a grain agriculture modeled on the mixed-species perennials of the native prairie. It was an intense program that forged some long-lasting relationships (note from the editor: I know, because I was there as an intern in 1993, then as junior staff-person in 1994, and that is where I met Jeremy also — but that is another story!). The intern group admired Dave for his thoughtful commentary on the readings, and his practical skills in areas such as fence-building. Jeremy’s unbounded enthusiasm for everything new, and good cheer brought good energy to the group. A tradition in the work-day of The Land Institute of rotating lunch preparation inspires our current Farm Lunch model, in which our apprentices take turns making a hearty lunch for the crew. Dave and Jeremy shared memorable occasions, from the beautiful experience of sitting in a living room listening to Wendell Berry read aloud one of his short stories, to watching a thunderstorm roll in over the vast Kansas sky, to sometimes-absurd adventures. After that year, Jeremy (and Audrey) moved back to the Northeast, while Dave stayed at The Land Institute for a couple more years before he, too, moved to New England with Marci. Over time, we have become like family to one another. It was with much history, then, that Dave and Jeremy became partners in farming this land in 2006. Thank you once more for joining us in this life’s work.